would all sing, and there were days we would all participate in great conversation. Riding the school bus is an important part of most children's lives. Many parents around the world depend on this public transportation system to carry their children back and forth to school everyday. These parents expect their children to be safe while riding the bus. Parents rely on the school and the bus staff to protect their kids from unnecessary or any undue harm. The school depends on the bus driver to follow and adhere to all set rules while transporting the priceless cargo typically called our youth. The bus driver knows the children must participate in helping to create an overall safe bus ride. You can teach your classroom great ways to participate by following safety rules while they are riding the bus. In this article are good books and great activities that will introduce bus safety to them. You can help your preschool students learn that, when you ride the bus, it is not all fun with your friends; it is also a time of the day to be safe. Get the DVD Riding Cool to School found on Amazon; it is a great tool as a visual for teaching your class about school bus safety. This DVD has characters that are depicted in a cartoon surrounding riding the school bus and how they need to be safe. "Yellow school buses large and small. Empty yellow buses cross the town. Stop. Go. Going this way. Going that way. Here it comes. See you later. Full buses head for school. Here we are. Right on time. Empty buses wait. Schools over. Full buses cross the town. Home again. Home again." The last suggested book is titled Molly Rides the School Bus by Julie Brillhart. This book is about a little girl who rides the bus for the very first time and how she faces her fears while riding the bus for the first time. This book is great for preschoolers or those who are new to riding the bus and good for teaching the concepts of bus safety. Book Discussion – Now that you have read one or more of the suggested book titles to your class, this is a good time to review what your students have just read. This is a good time to go over the basic concepts within this article. You should discuss the characters and the plot within the books you read to the them. You can ask the children if they have ever ridden a school bus. Ask the children if they stand or sit while riding on the bus. Ask the children if they should listen to the bus driver or do whatever they want. 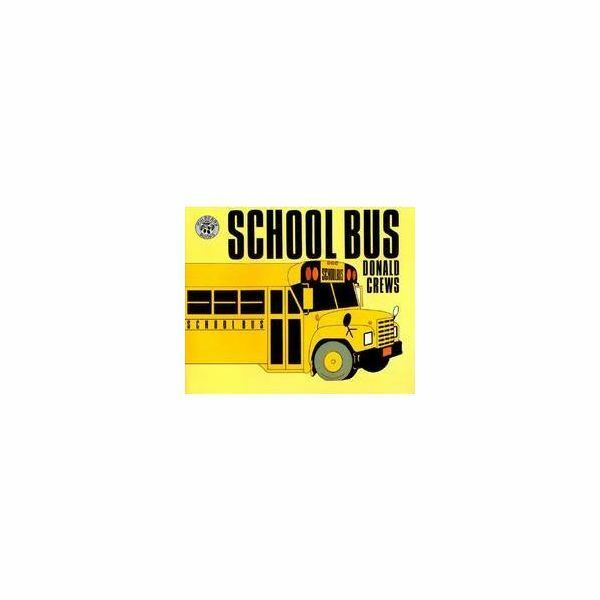 This is a great time to help the children grasp the concepts within the books and talk about how they would handle themselves on a school bus. 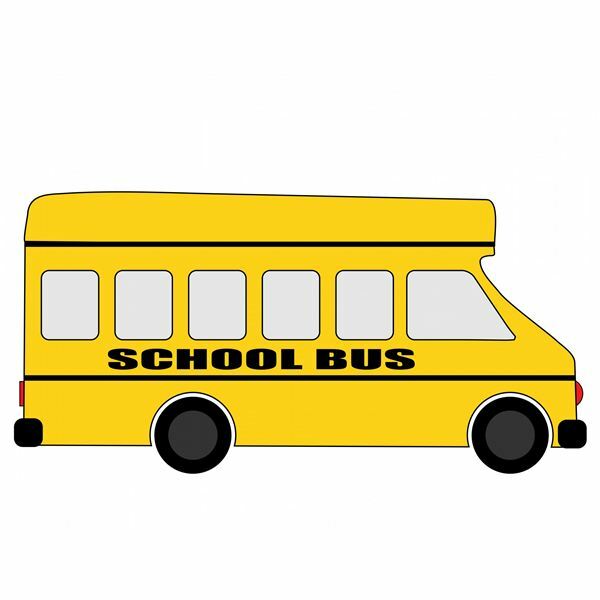 Song – You can help them learn the childhood song called "The Wheels on the Bus". Also teach your students the accompanying hand motions for the song. Materials: You will need markers, two pieces of very large drawing paper, cardboard, Popsicle sticks, red and white construction paper, large-sized alphabet stencils, a stapler, and glue. Instructions: Cut out a octagon shape on the cardboard. Use the stapler to cover the cardboard with red construction paper. Use the white construction paper to stencil the letters s, t, o, and p, and then paste them to the middle of the sign. Glue white one half inch white strips around the sign. Glue three or four Popsicle sticks side by side on the back of the sign. Use two yellow strips of the large drawing paper to create a crossing guard’s uniform or the part worn over their chest. Use the large white sheet of paper to draw the bottom half of a bus. Cover one side of several chairs for your students, and put one chair in the front for the bus driver. Use the large white sheet of paper to create a crosswalk for your students. You should have a wonderful stop sign, crosswalk, and bus to help your children learn to cross the street to wait for the bus. The game is setup so that they know how to sit on the bus after crossing the street. Game: Allow each child to cross the street using the crosswalk, and make sure the children heed the instructions of the crossing guard. Allow each child the chance to cross the street correctly and sit on the bus. Ensure that each child listens fully to the bus driver's and the crossing guard's commands. Once the preschoolers are on the bus, have the children get on and off the bus in a single file line using all of the bus rules. After all the children have gone through the drill, sit them down to discuss their thoughts on getting on and off the bus. Overall, this game should help the students to closely experience what it is like to cross the street and get on and off the bus properly. This game and the books are an awesomely fun way to teach your preschool students a skill they will need throughout their pre-secondary school years and perhaps even beyond. "Customer Reviews: School Bus". Amazon.com.